Lovers of towed watersports may not want to hear this or even consider the possible long-term effects caused by multiple hard falls. Who wants to find out that the sport they love can have a direct and serious affect on brain function later in life? Most people are aware of the ongoing issues with the NFL and brain trauma. Players with multiple concussions have an increased risk to develop Chronic Traumatic Encephalopathy (CTE). Perhaps the most famous NFL case that has brought the issue to national attention is that of 10-time all pro linebacker Junior Seau. Junior committed suicide in 2012 at the age of 43. His brain tissue was independently examined by several top neuropathologists, who all concluded the findings were consistent with repetitive head injuries. About a month ago I listened to an ESPN radio story about Patrick Grange, who was diagnosed with ALS (Lou Gehrig’s Disease) and subsequently died at age 29. Grange had penchant for heading the ball, practiced incessantly as a young boy, and extended that skill into his youth and adult years. His death has opened up discussion about changing the rules of substitutions in professional soccer and possibly changing the heading rules for younger players. Could This Affect Me as a Water Skier? Listening to Patrick Grange’s heartbreaking story had an immediate affect on me. 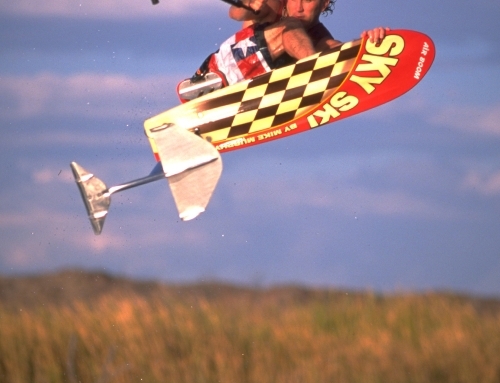 If CTE extended to other contact sports besides football, what about water skiing? In my recent ebook Adventures in Water Skiing: Part 4, Hydrofoiling (chapter = Love to Crash), I estimated my career falls at 200,000+. 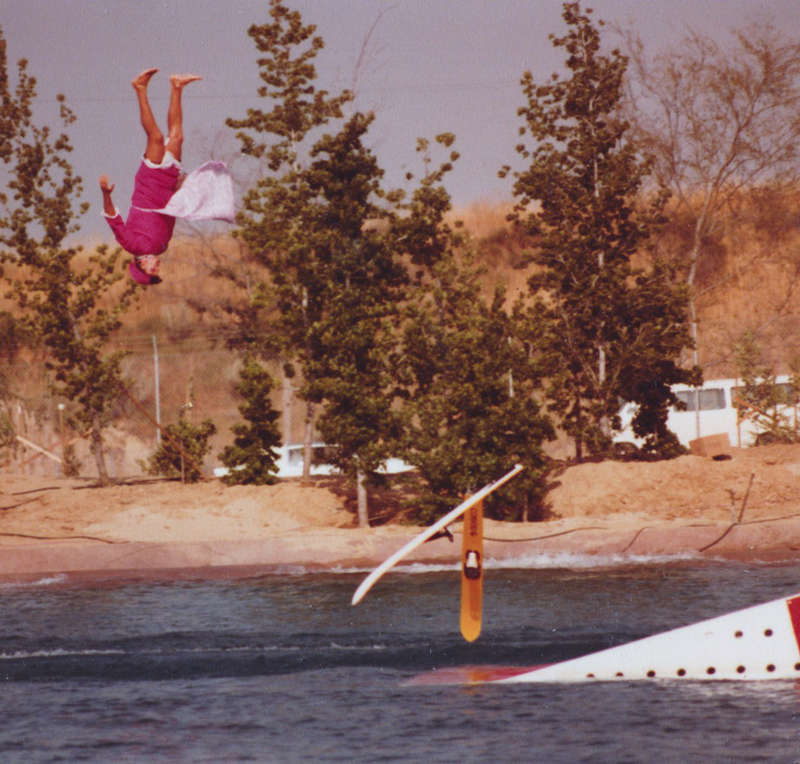 I was knocked out once in 1983 practicing long dive front flips off the jump ramp (a clown act where the skier jumps out of the skis at the top of the ramp – see photo below). I also remember being seriously dinged (floating in the water stunned for several minutes and unable to continue riding) at least 4 or 5 times through the years. These big falls had me feeling funny for days or weeks. I think these would most likely have been diagnosed as concussions if I had gone to a doctor. Of course there have been scores of other hard falls through the years. These smaller incidents have been referred to as repetitive trauma, and the negative effects are thought to be cumulative. Long Dive Front Flip with Roger Welling. Magic Mountain Ski Show, 1983. Both Roger and I were knocked out by this trick. I have always been concerned about head trauma. 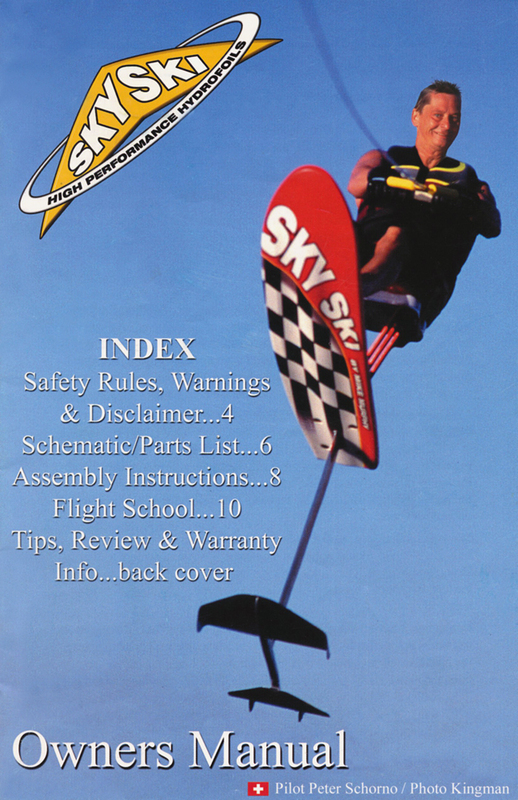 In 1992 I was one of the first water skiers (besides jumpers and racers) to start wearing a helmet, especially while riding my uncle Mike’s new invention the Air Chair. 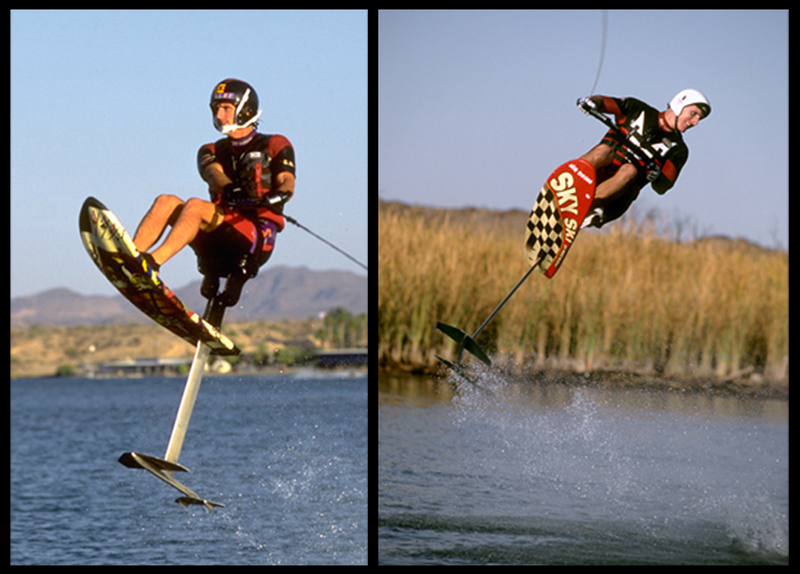 Mike always questioned me about wearing a helmet while riding his hydrofoil, most often when it came to photos. 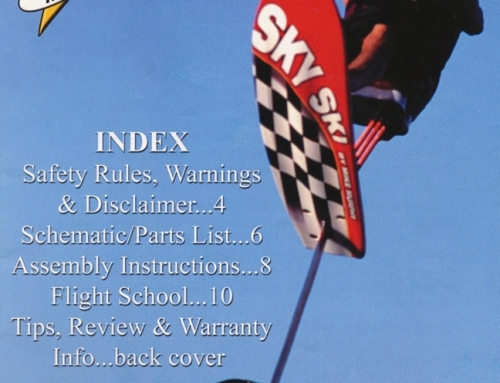 He told me that wearing a helmet made hydrofoiling “look dangerous.” My response was “it is.” You’re strapped in to a 40-pound device and flying upside-down at 25-30 mph. My typical jumps and flips are 10 feet high and 50+ feet long! Hello! So with all these concerns I went to the Internet last week and did a search for water skiing and CTE. With no info on water skiing, and my personal concerns over the issue (I do not currently exhibit any ill effects that I know of), it seemed like an important subject for a blog post, and it went on my to do list. Just this past weekend the subject was brought up independently by someone else twice, and one of those is worth more consideration. Last week I called my long-time friend “John” on a totally unrelated issue. I had no idea he was currently seeking diagnosis and treatment for possible CTE that he believed was at least partially related to skiing. John was a high level competitive skier for several years. He was known for his wicked wipeouts, especially off the ramp. He lost consciousness at least once after a jumping crash, and described himself as being “dinged” or “concussed” at least a dozen times. He is experiencing a recent onset of memory problems and anger control issues. In the search of answers John has done extensive research, has had brain imagery done including SPECT, and has undergone extensive psychological examinations. The general findings are consistent with damage cause by multiple high impact brain traumas. He has also contacted the Mayo clinic and was told he was not the first water skier to contact them in regards to CTE. 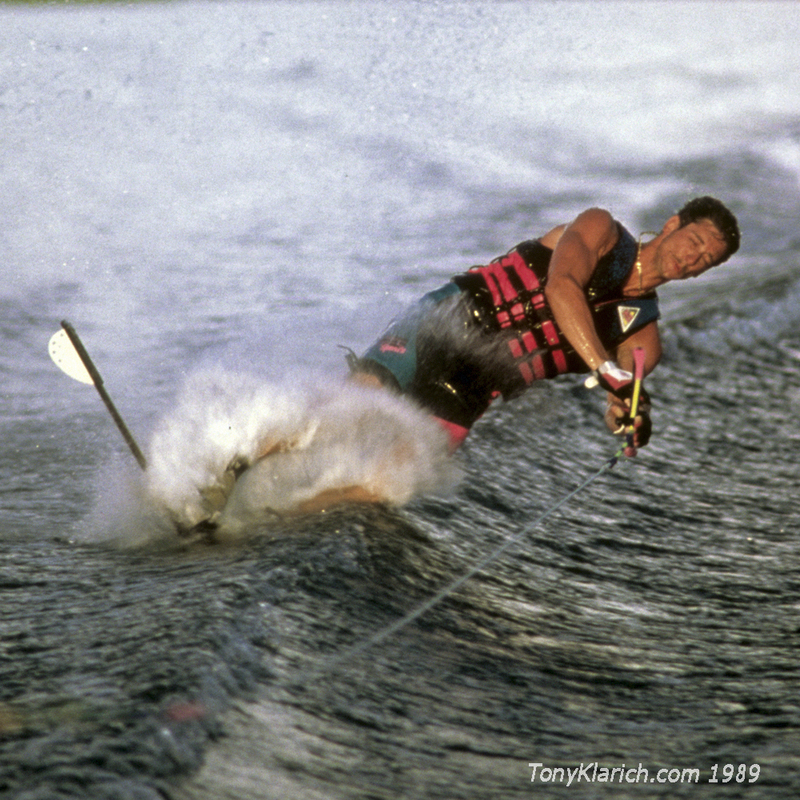 I’ve been to scores of water skiing tournaments and seen numerous crashes that resulted in a loss of consciousness. My recollection is that if a skier was able to pass a few basic tests they could continue skiing. 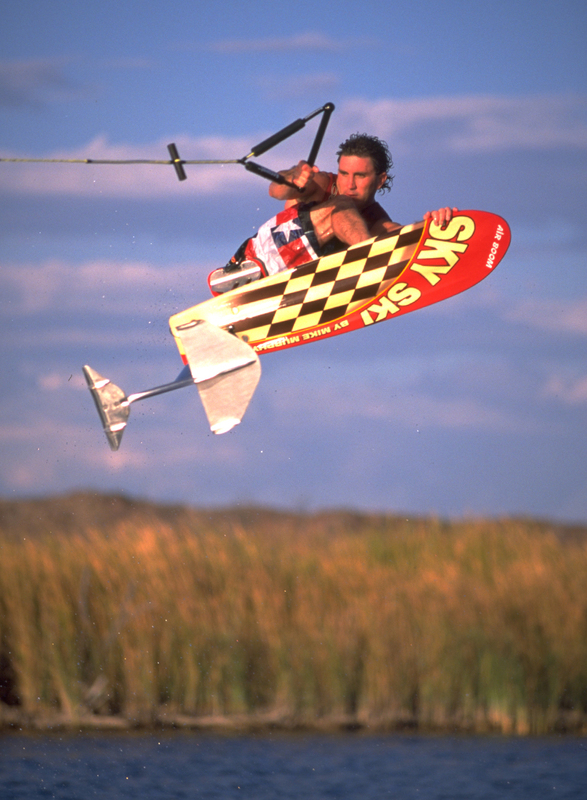 I was faced with this similar decision as the co-producer of the 2003 Flight Worlds of Hydrofoiling. One of our female competitors was knocked out during the Saturday prelims. It was with great difficulty that I told her the only way to compete for the title on Sunday was with a doctor’s release. She went to the hospital but was unable to get signed off, so had to sit on the sidelines. She swore how great she felt, and promised everything was fine. It was hard to pull the plug on her chances for a World Title knowing all the work it took to get to the big moment. What Disciplines are at Risk? HYDROFOILING: big air, pendulum effect of foil hitting water first and accelerating falling rider . 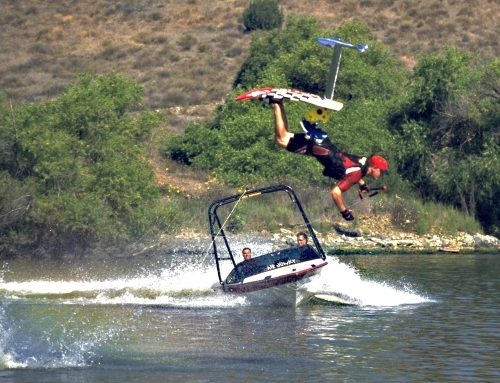 WAKEBOARDING: lower speed but bigger air and “catching and edge” fall. It’s been a few years since I’ve been to any tournaments, and I am unsure if there are any guidelines in place for athletes who suffer concussions. If not I think there probably should be. Can we do anything to reverse the effects of brain injury caused long ago? The jury is out on that one. Can we be smarter moving forward to help reduce the risk of injury? Of course. There is a general movement in many sports to address the issue and put guidelines in place. The organizing bodies in water skiing would do well to consider this important issue too. I hope this post can be a start to the conversation. If you believe you may have a brain injury as a result of participation in towed watersports I would like to hear your story too. It is unclear what can be done now for those already at risk, but at least we can start the discussion to help make the sport safer for future participants.